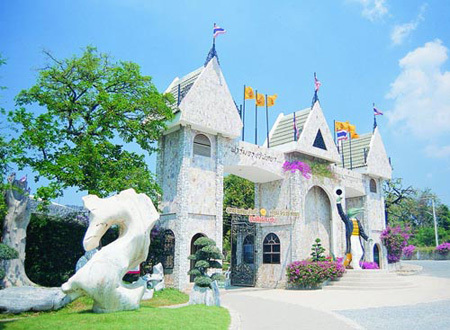 Million Years Stone Park and Crocodile Farm Pattaya excursion. 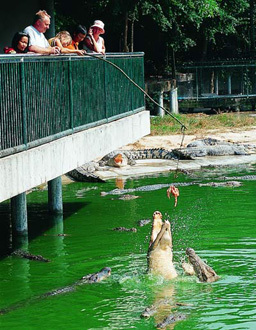 Million Years Stone Park & Crocodile Farm Pattaya excursion in Thailand. Book Online. Located at about 9 kilometers from Pattaya City, the site has breeding pens with more than 1,000 crocodiles, a zoo and the most attractive and unique of all a bonsai garden decorated with rock formations. Open daily from 9:00 am - 6:00 pm. Priced at 550 Baht per person. Includes transportation and entrance fee to the Million Years Stone Park.